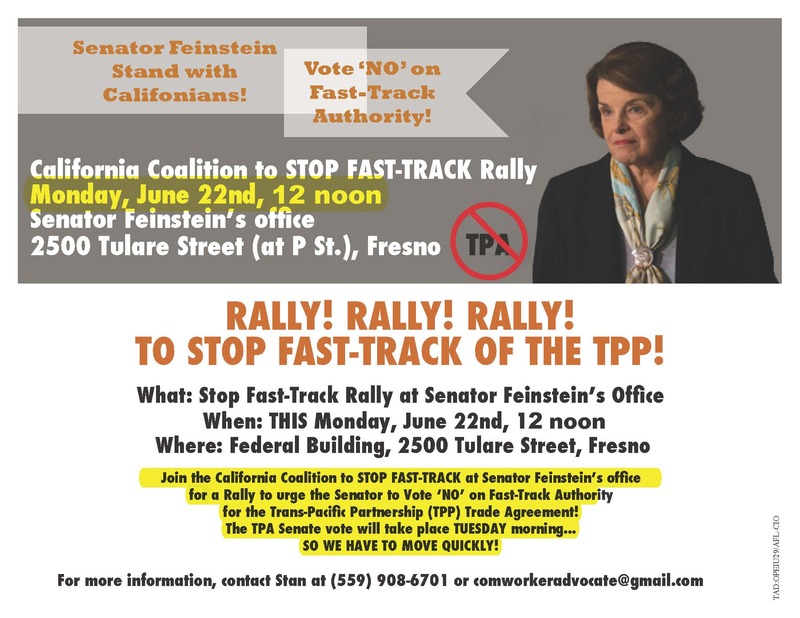 Broad coalition of activists tell Senator Feinstein to VOTE NO ON TRADE PROMOTION AUTHORITY! 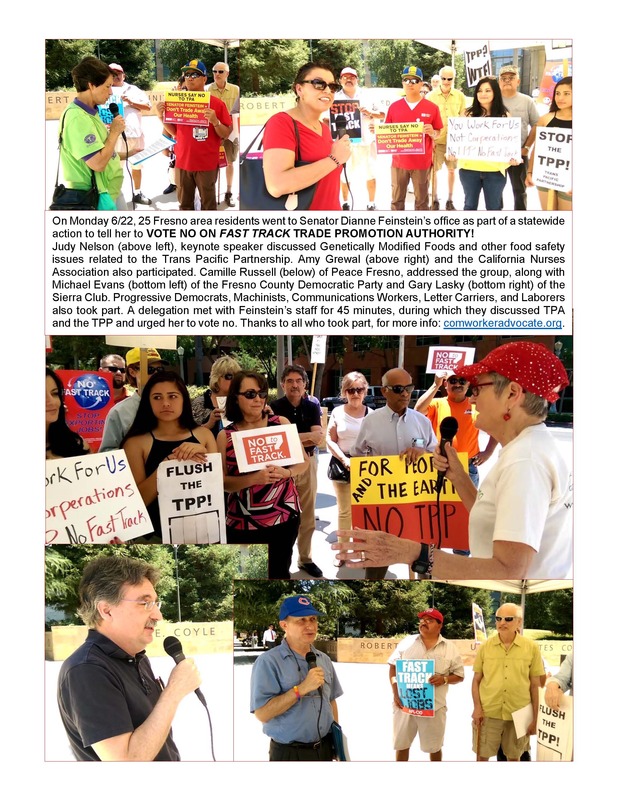 Previous Previous post: The vote for Trade Promotion Authority cost $200 million? It cost some lives too.